While teaching at the academy (1836–1848) he developed a portrait style which combined a neoclassical simplicity with a romantic tendency that fused well, and his penchant for realism was satisfied with an intriguing level of psychological penetration. While he was working on the plafond of St Isaac's Cathedral, his health suddenly deteriorated. 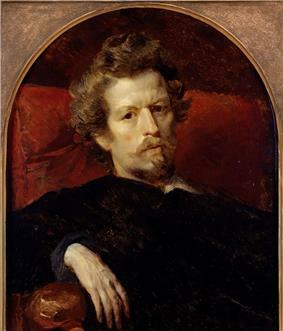 Following advice of his doctors, Bryullov left Russia for Madeira in 1849 and spent the last three years of his life in Italy. He died in the village of Manziana near Rome and is buried at the Cimitero del Testaccio there. 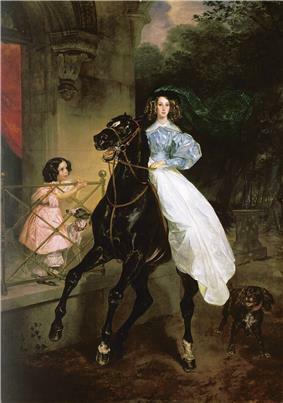 ^ "Karl Pavlovich Bryullov (Russian artist) - Encyclopedia Britannica". Britannica.com. Retrieved 2014-02-03.